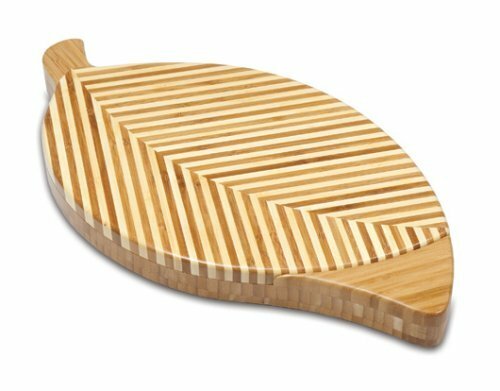 The Leaf cutting board and cheese tools set features alternating stripes of dark and light bamboo at varying angles to resemble a real leaf pattern. 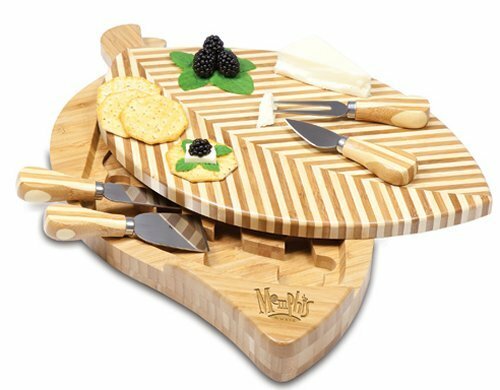 It?s two-tiered, swivel-open design has a carved cavity under the cutting board that houses the tools included. The Leaf is so beautiful, it?s sure to be a talking point when you display it at your dinner parties.